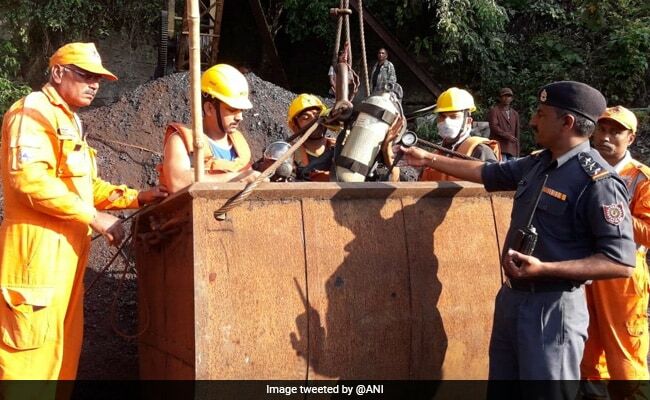 Nearly two weeks have passed since a freak accident trapped 15 miners in a rat-hole mine in Meghalaya’s East Jaintia Hills, and the authorities have all but given up hope of rescuing anybody alive. The search and rescue operations were suspended on Tuesday and two weeks after the accident there are no signs that any of the 15 miners are still alive. Meghalaya Chief Minister Conrad Sangma admitted on Wednesday that they had to halt operations to pump out water from the mine due to the non-availability of high-power pumps. He, however, added that the state is in the process of acquiring these high-power pumps for the rescue operations. “The situation right now is very difficult. Almost the entire river came into the mine. 12 lakh litres of water have been pumped out but the water level is rising,” Mr Sangma told NDTV. A team of state-run Coal India Ltd, the world’s largest coal miner, is also reaching the northeast state today after getting a request from the Meghalaya government, people with direct knowledge of the matter said.